Sellacious comes up with providing you options and choice in listing your products prices as per your need. 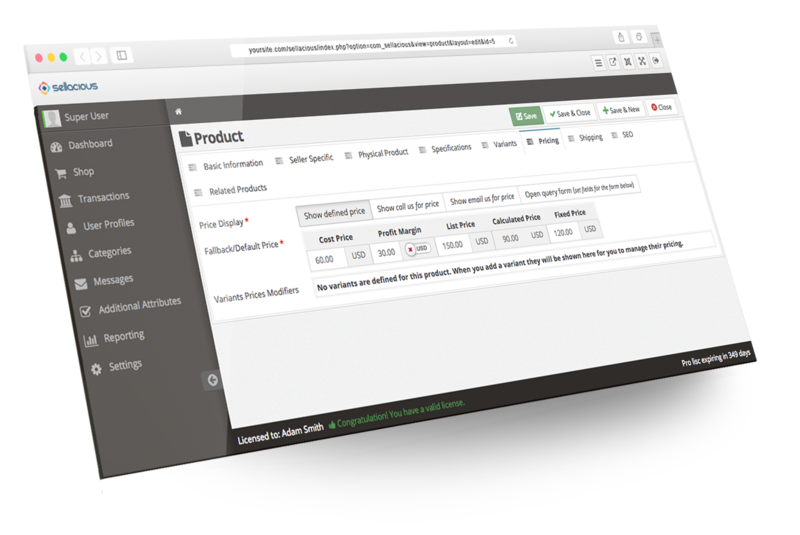 You can set the pricing of your product customised in accordance to the store and product. Simple Flat price for your product. Define cost, Margin, List and Override price of your product. For those who want sellacious to help them estimate your profit calculations on orders. Ask customers to email you for price. 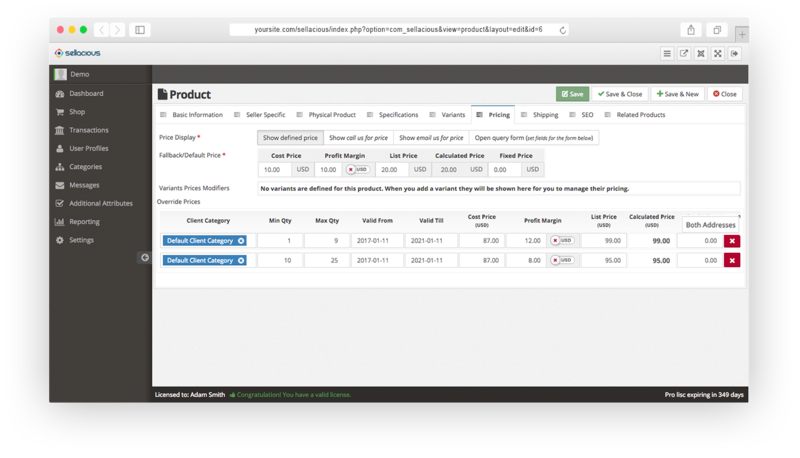 Define custom questions for each product, make your query form in additional attributes. get that filled form on your email. The user will see Call for price button with your phone number defined in your profile. Sell at different price on special discount season or in any date rage, automatically change to rule price on mentioned dates and switch back to fallback price. Special prices for your special clients? define the advance pricing rule and you are done. Want different prices for different quantity ranges? Sellacious handle them very well.